A view over some of the houses at Claddach with the Rhinns of Islay lighthouse on Orsay in the background on a sunny June evening. 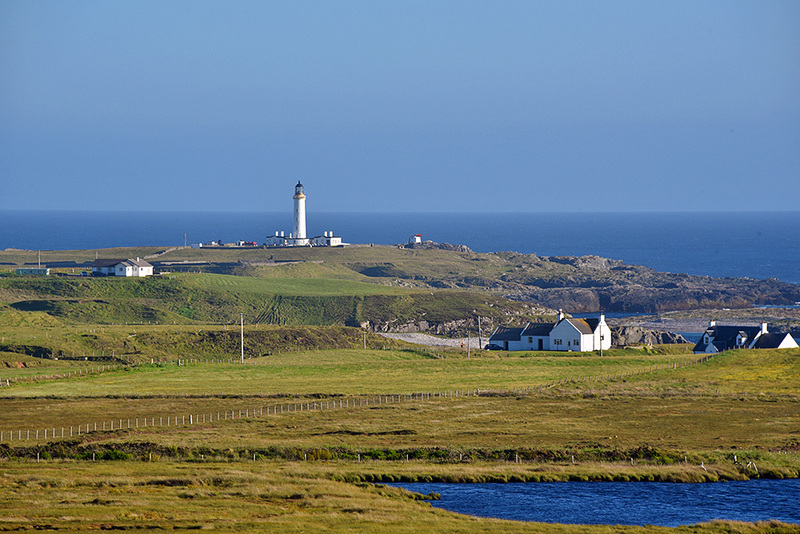 This entry was posted in Landscape, Lighthouses, New Post, Sunny Weather, Village and tagged Claddach, Islay, Portnahaven, Rhinns of Islay by Armin Grewe. Bookmark the permalink. How lucky we are to be able to call Islay home. Another beautiful picture. Thank you. My greatgrand father Ronald Mackinnon was born Cnoc a Cleibh just out off shot on the left of the photo. I can’t promise it, but I think I might have a picture showing a wider view. If I do I’ll post it the next few days. Hi Ronald, Ronald was my great-great-great-great-grandfather! My greatgrand father Ronald Mackinnon was born in 1841 in Cnoc a Cleibh,just out off shot on the left of the Photo. He died in Fauldhouse,West Lothian in 1941.